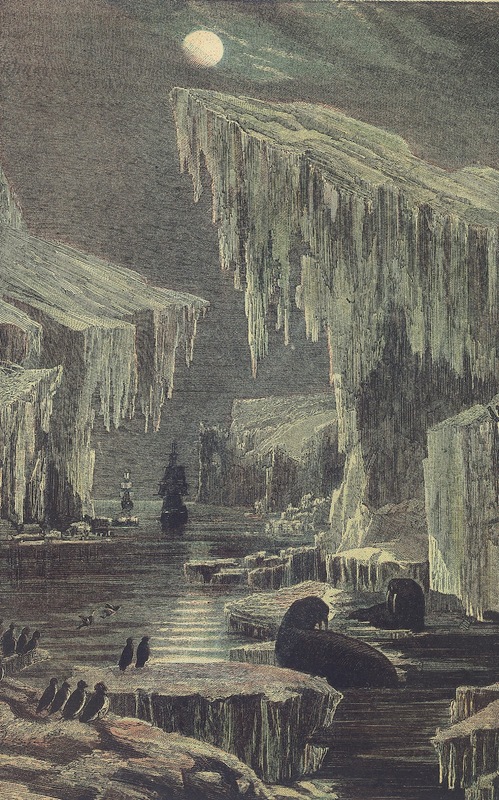 So here we go again: Yet another Parks Canada search for the remains of Sir John Franklin's ships, the "Erebus" and "Terror." Once more, we have the press releases, the Arctic photo-ops with Stephen Harper, the meaningful pronouncements of various government ministers, and clips of the CCGS Sir Wilfrid Laurier at anchor near the Adelaide Peninsula. 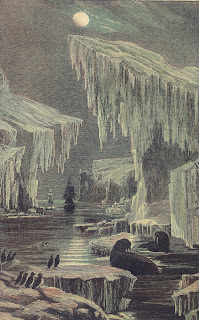 And then, in my e-mail inbox, come the requests from journalists for images of Franklin, his ships, and Beechey Island. I always say yes. One figure, however, really says it all: $275,000. This is the amount budgeted for this year's "search" by Parks Canada. And, as anyone who has done a budget for an Arctic venture of any kind would know, that kind of money won't go very far. It might enable the launch of the two research boats from the Laurier, and it might pay for a few days of dragging around side-scan sonar equipment. But in the haystack of possibilities as to the fate of the needles that are Franklin's ships, this effort won't cover more than a few straws. Sure, they could be lucky straws! But barring that, the effort is, in my view, largely symbolic. In terms of meaningful underwater archaeological efforts, it's nowhere near what is likely going to be needed, and so I can't think that the government really believes it is one. Instead, like the planting of Canadian flags on Hans Island, it's really just a symbolic effort, one which makes sense only if the motive is to prop up the narrative of Canadian sovereignty over the Northwest Passage, which it regards as its own internal waters. This is acknowledged tacitly, and has been the subject of a CBC article, "Franklin Search about Politics as well as History" (and here I think you could substitute "instead of" for "as well as"). I must be extremely cynical, but not finding the ships gives them a reason to go again flag waving and speaking about Canada's sovereignty in the Arctic next summer. Your thoughts are spot on Russell. After now having flown several times over these specific areas of ocean, I again cannot stress enough how vast these areas of water really are. Unless you have some secret clue on a micro spot of just a few square miles, it is as you say, the proverbial needle in a haystack. Truth be told, no sugar coating - a 5 day properly executed grid sonar search would only cover less than 1/100th of the ocean bottom - of JUST the PROBABLE search areas. I read something about what someone wrote on their Facebook associated with this team, and you would think that it's a given that they will find one of the ships this year. Please. This has to be a publicity stunt. We can all hope that they get lucky tho. At the end of the day, I want to just see those ships someday up close in a museum. It's interesting to see the sovereignty issue associated with the ships in the limelight. No surprise, but it is very official now. ...and the season is a little bit advanced, isn´t it? Not necessarily ... the last weeks of August can often be ideal, and some years the new ice doesn't start to form until a week or two into September. It's "predictably unpredictable," one might say!